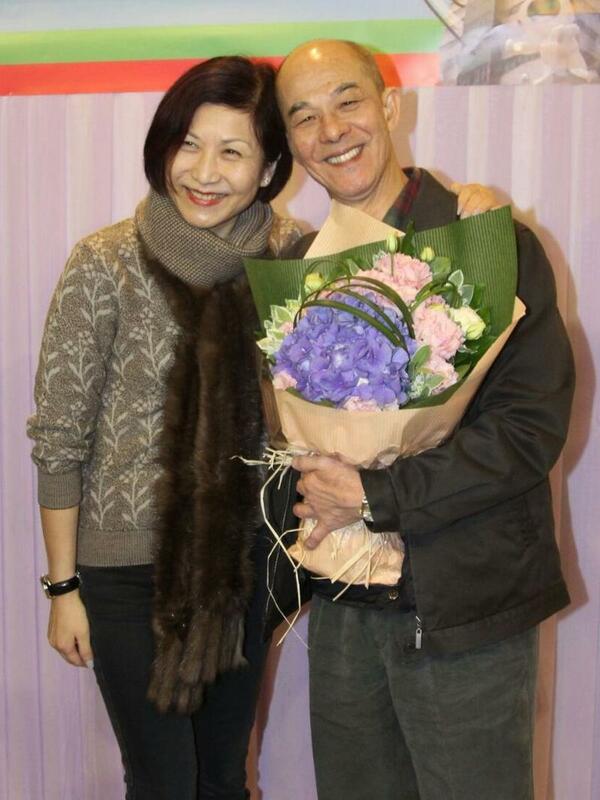 TVB golden producer Lee Tim-sing (李添勝) has announced that he will officially retire on March 31, ending his 48-year long career with the number one Hong Kong broadcaster. 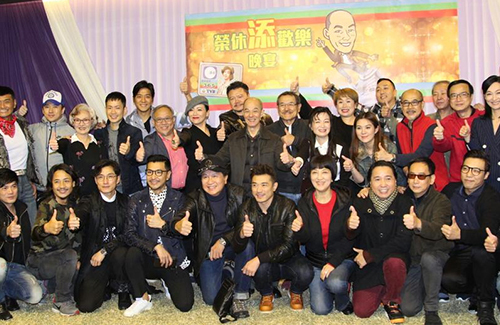 TVB held a 22-table farewell banquet in Tsim Sha Tsui on March 17, attended by numerous TVB artists and a few surprise guests. 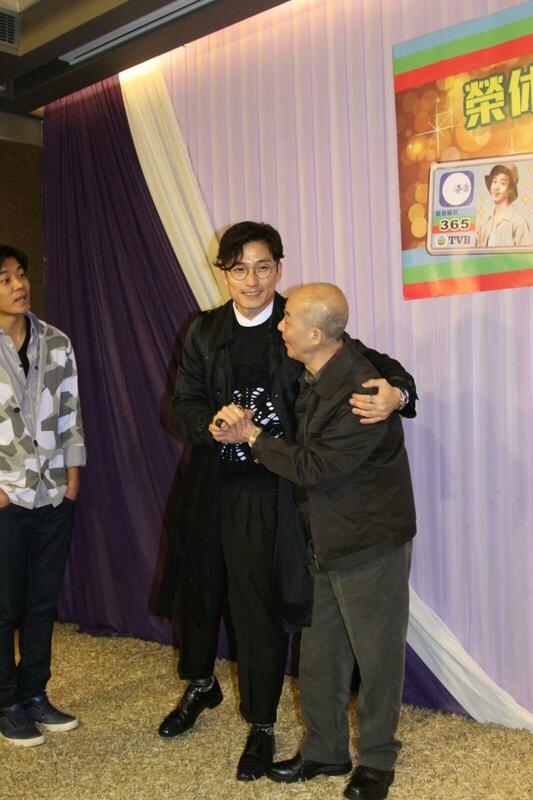 The comedy Here Comes the God of Wealth <財神駕到>, which has yet to air, will be his last TVB production. “The Good, the Bad and the Ugly” (1979) solidified Chow Yun-fat and Carol Cheng as one of the best on-screen couples in HK TV history. They then went on to star in “The Brothers” (1980) and “The Fate” (1981), all produced by Lee Tim-sing. 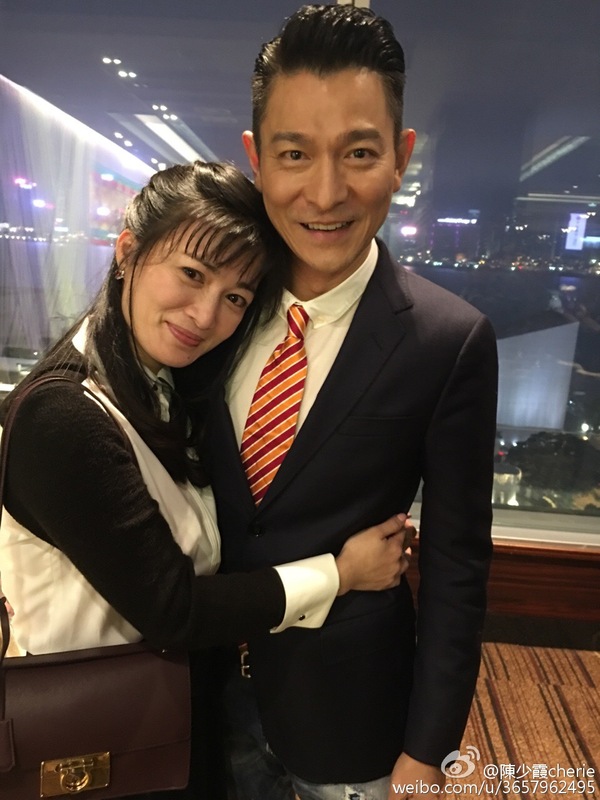 Those who attended Tim Gor’s farewell banquet included artists who have collaborated with him before, such as Sheren Tang (鄧萃雯), Kara Hui (惠英紅), Sunny Chan (陳錦鴻), Ruco Chan (陳展鵬), Nancy Wu (胡定欣), Joel Chan (陳山聰), and a surprise guest, Andy Lau (劉德華). 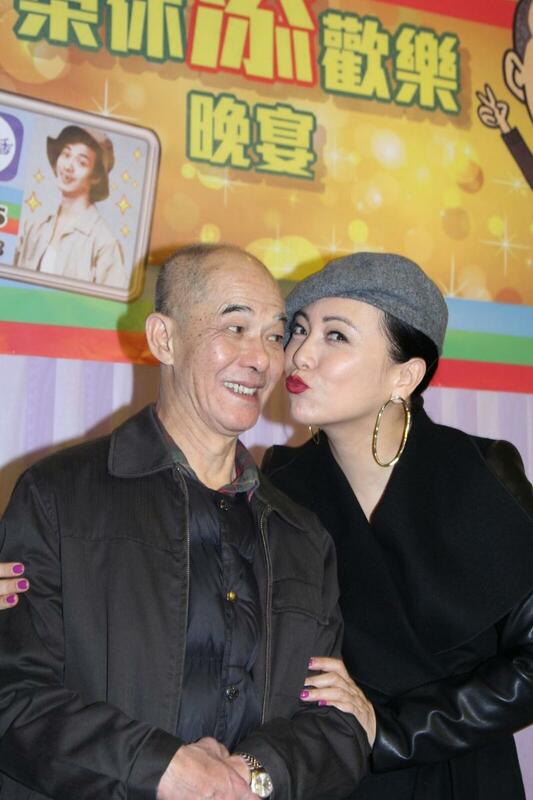 68-year-old Tim Gor said he is grateful to TVB for allowing him to continue working even though he has long past the retirement age. He admitted that while he will miss his work, retirement is something that he must eventually face. He looks forward to spending more time with his grandchildren and wife after he leaves his post. Among all of Tim Gor’s productions in the past 40 years, the producer said he is most satisfied with 1979’s The Good, the Bad and the Ugly <網中人>, 1980’s The Brothers <親情>, 1981’s The Fate <火鳳凰>, 2004’s The Conqueror’s Story <楚漢驕雄>, and 2006’s Safe Guards <鐵血保鏢>. 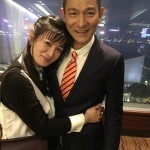 Sheren Tang, the star of Tim Gor’s mega-hit series Rosy Business <巾幗梟雄> and No Regrets <巾幗梟雄之義海豪情>, described Tim Gor as a producer “with heart and soul.” The actress, who made her debut on TVB dramas in 1985, did not have the opportunity to work with Tim Gor until 2009’s Rosy Business. Wayne Lai and Sheren Tang won Best Actor and Best Actress consecutively for “Rosy Business” (2009) and “No Regrets” (2010). Not being able to work with Tim Gor had always been one of her life’s regrets. In early 2008, when Sheren heard early rumors about Tim Gor’s intention to retire, she contacted the producer and told him that she wanted to collaborate. 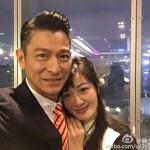 Tim Gor then created Rosy Business, and also fulfilled Sheren’s wish of wanting to work with Wayne Lai (黎耀祥). At the banquet, Sheren said she gave Tim Gor her own calligraphy scroll as a gift. Nancy Wu, who worked with Tim Gor on Legend of the Demigods <搜神傳>, Rosy Business, and No Regrets, said Tim Gor is someone who enjoys telling jokes and loves to share his experiences with juniors. Though Tim Gor may look serious on the outside, he is easy to get along with. 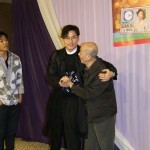 Joel Chan is extremely thankful of Tim Gor, who was the first to cast him in major roles when his acting career suffered. 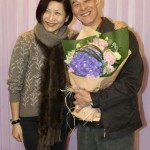 TVB executive Catherine Tsang (曾麗珍), Tim Gor’s longtime collaborator, said Tim Gor is someone who “always does the right thing, and never takes shortcuts.” She said his students are as hard-working and clear-headed as him, adding that she hopes his teachings would continue to pass on to the next generation. 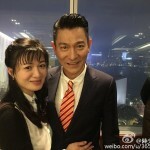 When Andy Lau was still a TVB actor, he collaborated with Tim Gor on a few productions, most notably The Duke of Mount Deer <鹿鼎記>. 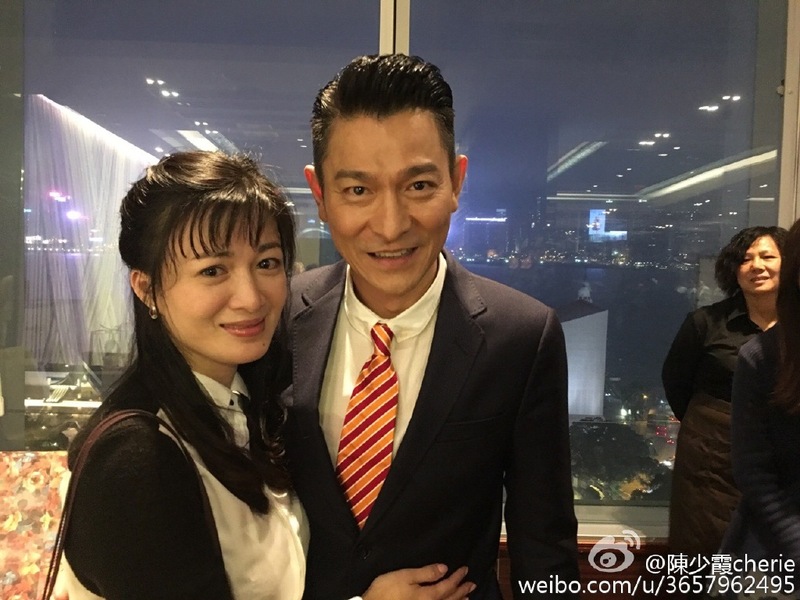 Andy attended Tim Gor’s party and came across Cherie Chan (陳少霞), who he hasn’t seen in ten years. The duo collaborated over twenty years ago. 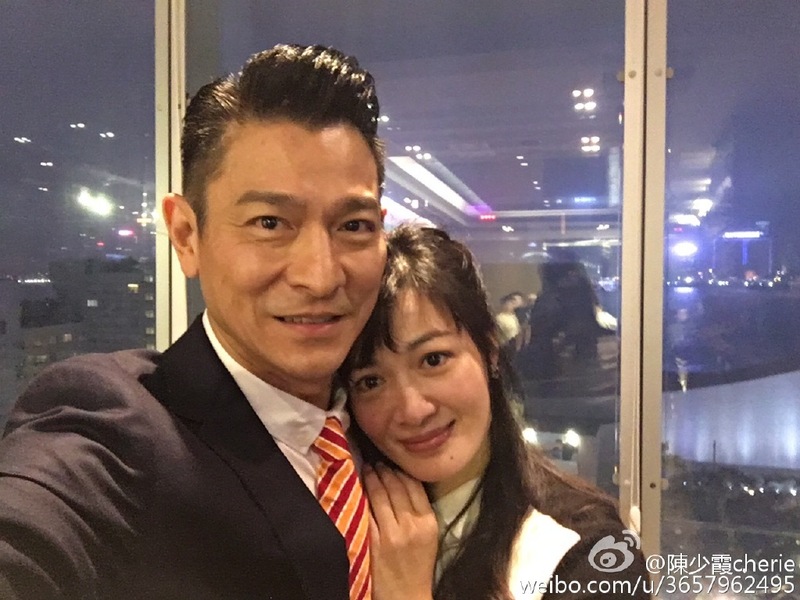 Cherie joined his agency and even played his wife in the film, Tian Di <天與地>. However, rumors say Andy and Cherie severed their ties when Cherie announced her marriage to a businessman in 2000. Andy and Cherie disproved the rumors once and for all at Tim Gor’s night, where they snapped a series of selfies together. Cherie was seen hugging Andy in the photos. one of the saddest days… losing a very powerful and a very good producer at TVB due to retirement but it’s part of life… TVB will now be entering a new era. U mean there is a retirement age for producers? Even if he guaranteed hit maker?